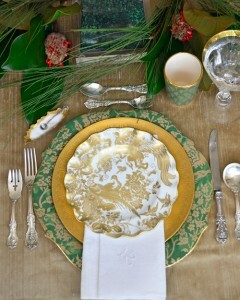 Try combining old and new china, silver, crystal, and linens for the holidays. 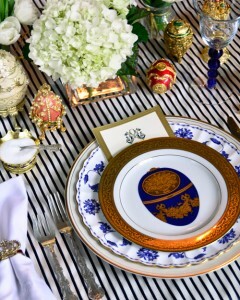 There are so many artful china patterns in beautiful colors that will change the entire mood of the table even before adding the centerpieces and flowers. 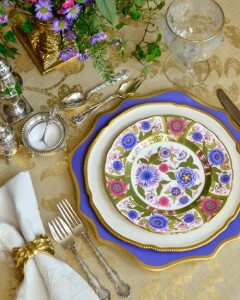 Enjoy Grandma’s china and silver with contemporary chargers and stemware. 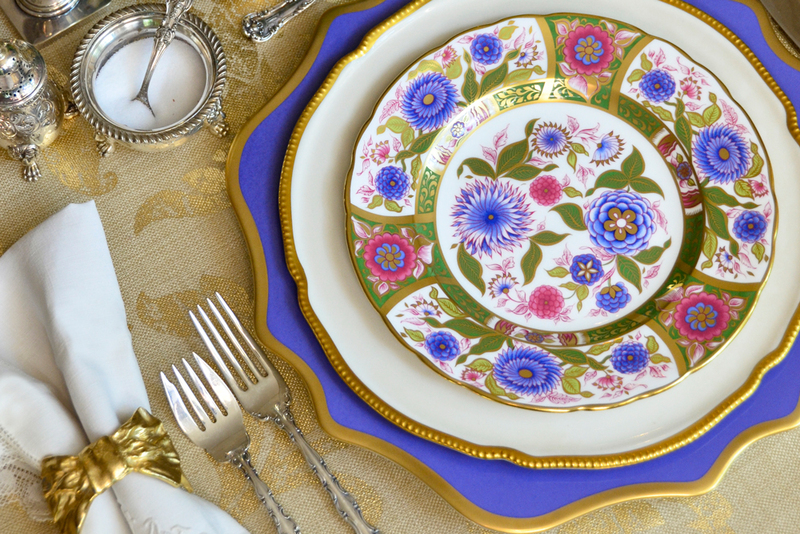 Many lovely vintage china, crystal, and silver patterns are available at antiques stores and consignment shops at a fraction of their value. 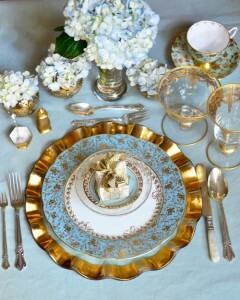 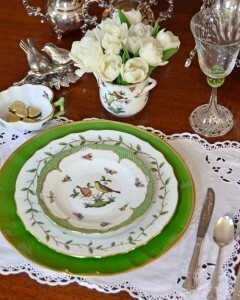 Collect special dessert plates to add to simple gold- or silver-edged china to create an entirely different table. 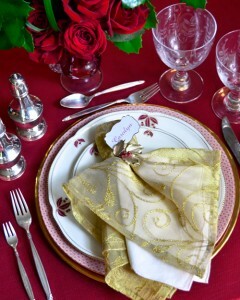 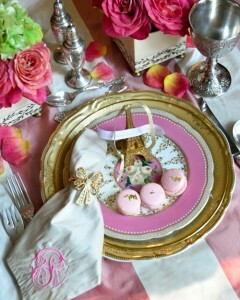 Add place cards, napkin rings, menu cards, and pretty stems, cookies, or small gifts. 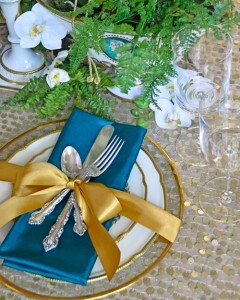 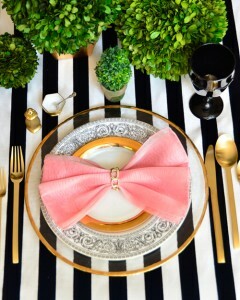 Enjoy setting a pretty table for the holidays.